To care for an Eastern fence lizard and see it thrive, create a habitat similar to its natural environment. There are 12 species of these lizards, often called swifts, and they live in warm climates and prefer a habitat where they can climb and bask in the sun or under UV bulbs. Put the UV-B light bulb into the socket at the top of the aquarium lid. Set the timer to turn the light on for 12 hours, during the natural daylight hours if possible. You can do this manually without the timer as well. Lizards produce vitamin D3 and calcium when exposed to UV-B light, similar to the way the human body produces vitamin D in sunlight. Fill the bottom of the aquarium with clean play sand or purchased reptile substrate. Make one end deeper than the other, and bury the cactus' root ball in the sand on the deep end. 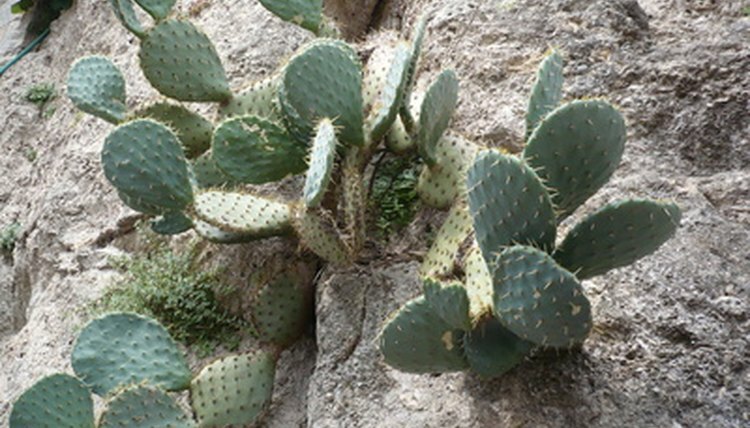 If you are using substrate leave the cactus in the pot. Set the water bowl on the other end where the sand is shallow. Position the branch so it goes partially up the cage at an angle, so the lizard can climb. Place the rock near the branch's base to help steady the branch. Place the plastic plant close to the branch so the lizard can hide in the leaves and lick moisture from the sprayed leaves. Spray the leaves with water every morning. Feed the lizard fresh insects every other day. If you are feeding crickets to the lizard, give it about four at each feeding. This way, the lizard will be less likely to get sick from overeating. Wash the water dish daily, and use a soft, wet cloth to wipe down the tank sides and decorations every other week. Daytime tank temperatures should be between 80 and 100 degrees while night-time temperatures should be between 60 and 70 degrees to keep your Eastern fence lizard healthy. Keep the tank securely covered or your lizard might be able to jump out. What Do Desert Geckos Eat?